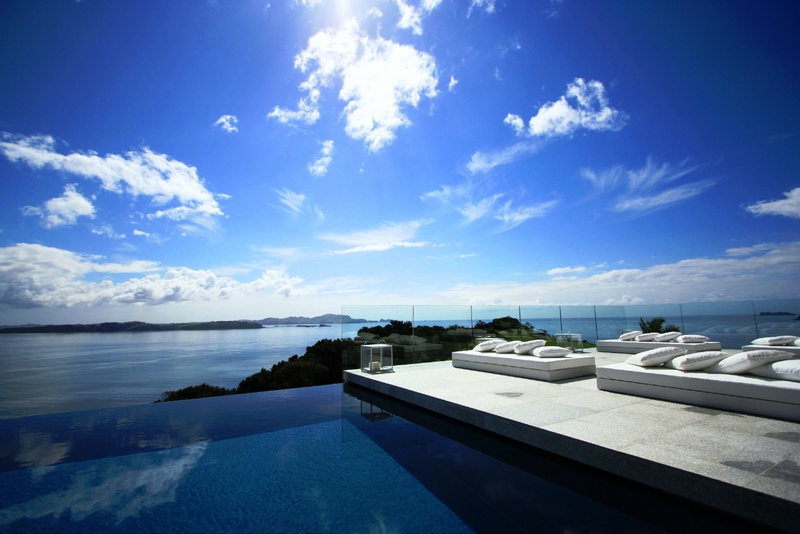 Black Robin Transport is located in the beautiful Bay of Islands, the birthplace of our Nation and only three hours north of Auckland. This subtropical region features 144 small islands and boasts glorious unspoilt beaches. From long uninterrupted coastlines to ancient native Kauri forests, you will be overawed by this spectacular part of New Zealand. Black Robin’s late model luxury fleet provides bespoke, high quality transfer services. So whether it be a seamless airport transfer, guided tour or your very own specially tailored service, you will arrive relaxed and refreshed. Our experienced and discreet team are the vital link to your chosen destination. We promise a safe, reliable service and a memorable journey. After a long corporate career, Steve semi-retired to the beautiful Bay of Islands. 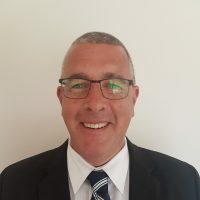 Steve’s love of driving and meeting people is an excellent fit with the team at Black Robin Transfers. 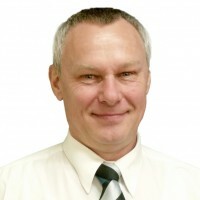 Steve is well travelled, loves sport and spending time with his family. 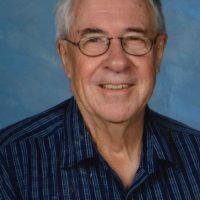 He is passionate about Northland and enjoys showing visitors its natural beauty. 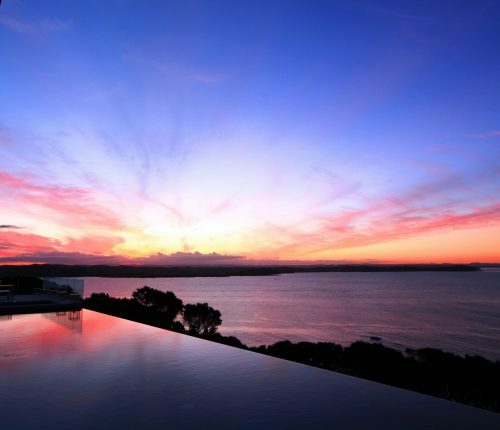 Ten years ago Holger emigrated from Germany to the Bay of Islands for the lifestyle and beautiful landscape. He has worked as a tour guide for the past 8 years and knows a lot about the land and the people in the Far North. Having him as your guide and driver guarantees an interesting day/tour. When Holger is not working, he loves to fish and sail in the great waters of the Bay of Islands. Jenny was born in England, but raised in Northland as a Kiwi. After spending some time in Australia Jenny returned to Cambridge in the Waikato where she could indulge her passion for horses. After raising her children, she has finally settled back in Northland. Jenny’s other interests include a love of dogs and all sports. 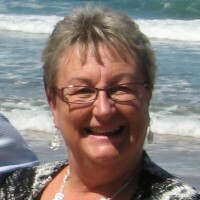 She is an experienced driver and enjoys showing visitors this beautiful part of New Zealand. 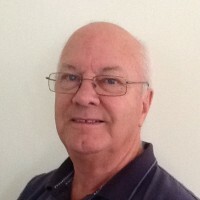 Dennis has visited over 60 countries and had a role as an NZ tour manager for four years. 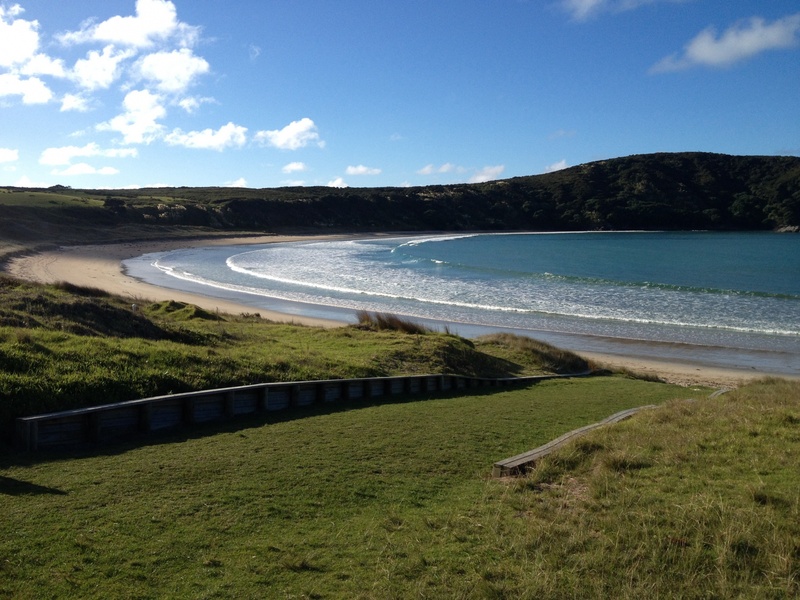 This convinced the former secondary school teacher that New Zealand was hard to beat as a visitor destination. 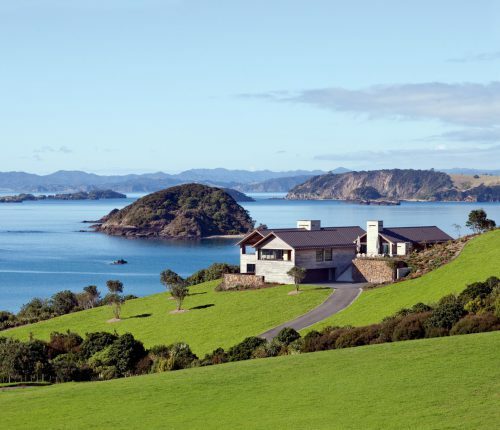 He is enjoying semi-retired living in the wonderful Bay of Islands and showing parts of the area to mainly international visitors. Other interests include reading, writing (yes, of course, he’s written a travel book…) international politics and trying to get recognisable tunes out of his newly acquired electronic piano. Devon was born and raised in Northland, so has extensive knowledge of the area. He recently retired from the NZ Police Force after a career of 30yrs to now enjoy the relaxed Northland lifestyle. He has invaluable driving experience after acting as driving instructor for NZ Police, involving security and VIP motorcade work. He has a passion for motorbikes and motor racing and is involved in car rallying throughout New Zealand. Devon’s personal interests include fishing, DIY building work, and farming. We offer transfers to and from your selected location. Our fleet of luxury vehicles and experienced drivers will ensure you arrive at your destination safely. Enjoy your own world-class private tour in the safe hands of Black Robin. Our tours below can be customised to suit your specific requirements. 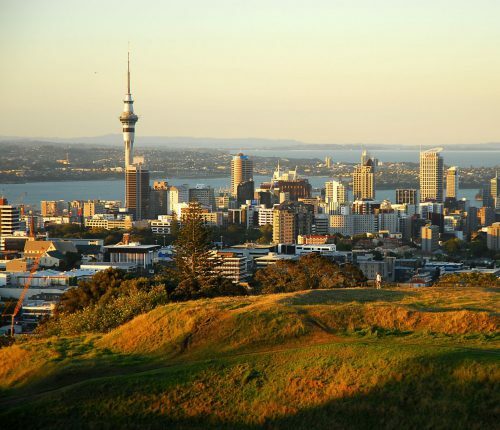 This experience takes in the most historic and culturally significant locations in New Zealand. 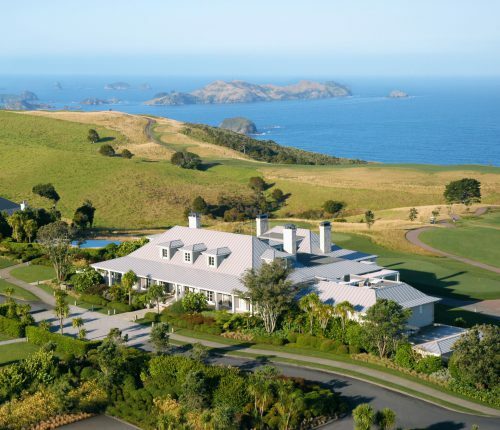 Enjoy a half or full day private tour of the Bay of Islands, including historic sights in Waitangi, Paihia, Russell, Kerikeri, and Waimate North. 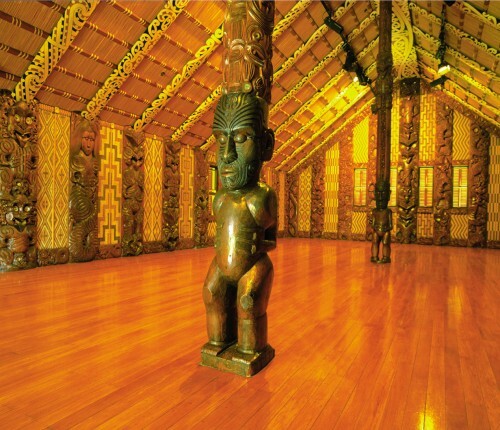 Your very own private tour of the Waitangi Treaty Grounds can be arranged. You will be accompanied by our driver/tour guide who is well versed in local history. Enjoy a half or full day tour depending on your choice of locations. Lunch can be arranged at any one of our selected restaurants at an extra cost. Explore Kerikeri’s cultural hub and mix with the local community. You will visit local Art Galleries displaying paintings,sculptures and carvings of celebrated local artists. Visit the unique Bay of Islands market; a busy, bustling market selling a wide range of local produce, plants,fresh food and arts & crafts. Operates every Saturday. Stroll across the road to the popular Makana Chocolate Factory where you will view the Chocolate making process and enjoy a free tasting of their delicious chocolates. You can purchase direct from their beautiful in-store displays. A short distance away is the Bay of Islands Honey Shop where you can view New Zealand’s largest working beehive. Honey products are available for sale. Open October to April. For families with young children we include a visit to The Parrot Place, a bird display and breeding centre with over 300 exotic birds from all over the world. Visit Rainbow Falls on the Kerikeri river. There are stunning viewing platforms over the Falls. You can take the beautiful one hour bush walk from the Falls to Kerikeri Stone Store Basin if you wish to extend your tour. Northland is starting to make a name for itself as a premium wine region in New Zealand producing quality Chardonnays, Pinot Gris, Syrahs and unique varieties such as Chambourcin and Tempranillo. 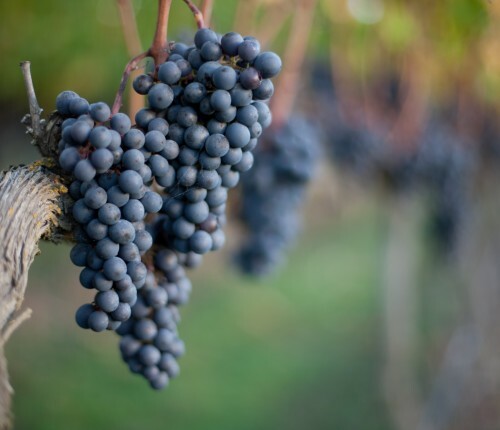 This tour takes you to the boutique Ake Ake vineyard and then on to the well established Marsden Estate winery. Both vineyards are family owned and operated, and consistently produce award winning wines. This private tour includes your personal driver, as well as tastings and platters at each location. Lunch can also be included at an extra cost. Our sommelier will need to be booked in advance. Total length of tour: 4-5 hours. 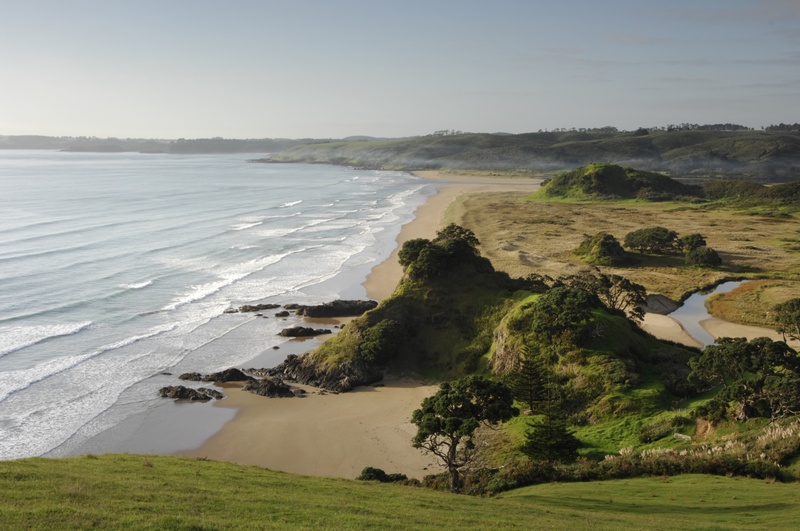 Start this tour by taking a drive around Northland’s beautiful coastline, taking in breathtaking views overlooking the Pacific Ocean. Dip your feet in the pristine clear waters of its many golden beaches on the way. 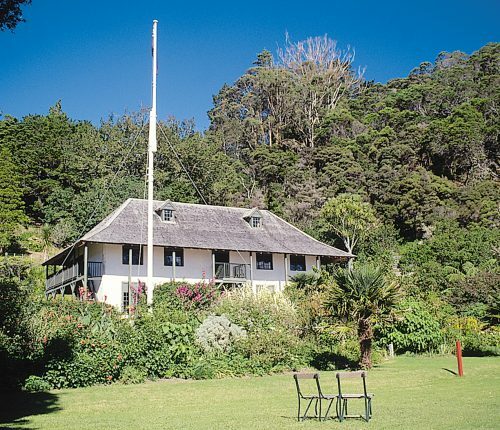 You will then wind your way back to the serene waters of the Whangaroa Harbour (deepest harbour in the Southern Hemisphere), and north to the small fishing village of Mangonui. Enjoy lunch at the ‘world famous’ fish and chip shop overlooking the beautiful Mangonui Harbour. This private tour includes your personal driver/tour guide, and 3 to 4 stops at different locations on the way. Cost excludes Lunch at Mangonui, which is to be settled directly. Total length of tour: 4-5 hours. 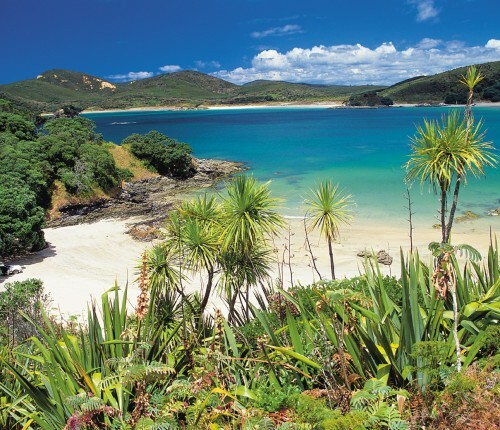 This tour takes you to the Kauri Coast and Hokianga on the West Coast of New Zealand. The West Coast scenery is more rugged and natural in its beauty and the seas wilder and everchanging. 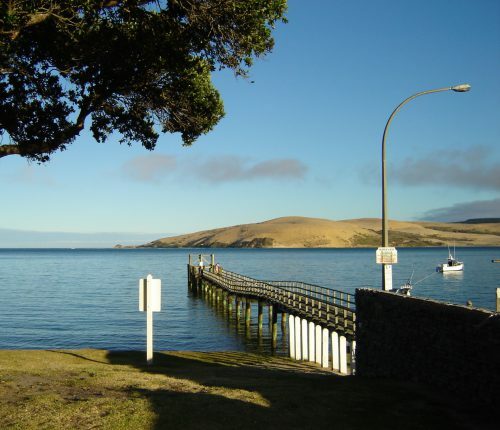 You will pass through the quaint towns of Opononi, Rawene and Omapere situated on the historic Hokianga harbour. 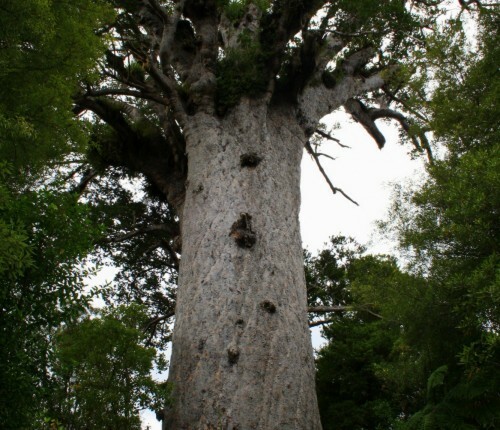 Your guide from Footprints will meet you at the Copthorne Hotel before venturing into the Waipoua Forest to see Tane Mahuta, at 2000 years old the largest Kauri tree on earth. Enjoy a spiritual performance from your local guide, as you take the short walk to see this mighty tree. This private tour includes your personal driver. Lunch can be arranged at the Copthorne Hotel in Omapere ( to be paid direct). Total length of tour: 6 hours. If gardening is your passion let us take you on a journey of discovery and delight. Behind every wall, hedge or gate you will find gardens that fasinate and inspire you. Due to Northlands temperate climate there is a variety of plants that are grown nowhere else in New Zealand. 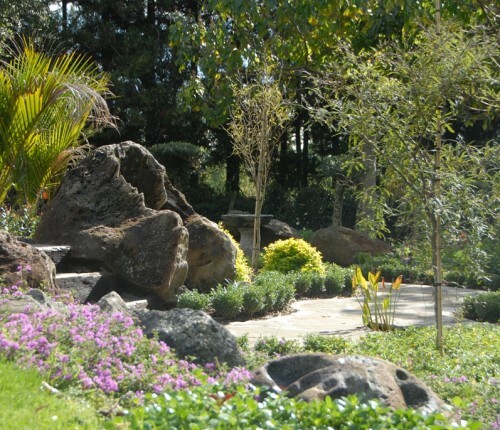 You will discover a diverse range of gardens including tropical, Old English, native, historic and organic. From December 2015 the Kerikeri sculpture trail will be open in the Wharepuke Gardens. Meet the owners to engage with and explore together their garden creations. This tour can range in duration from four to six hours including lunch, morning and afternoon teas if requested. Wharepuke Café is set in lush subtropcial gardens. 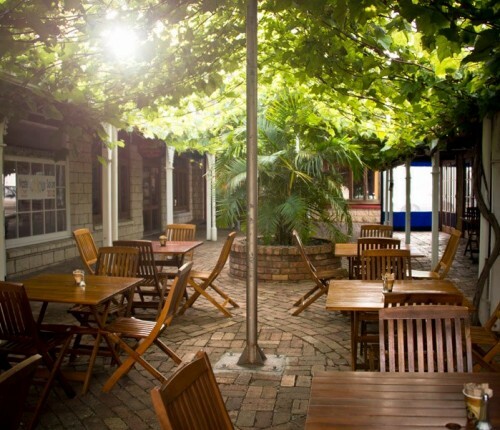 Palmco Café: You can wander through a garden of national significance featuring palms and other subtropical species. Marsden Estate Winery over looks the vineyards and watergardens. Honey Cafe is located behind Kemp House, set in Heritage Gardens and overlooking the Kerikeri Inlet. The Pear Tree Resturant: Situated on the banks of the Kerikeri Inlet opposite the Stone Store and Kemp House. After lunch view the 200 year old Pear Tree. This tour is a true nature escape. Take a guided walk throughout the Kawiti Glowworm Caves. Journey underground through a network of stalactites and stalagmites and discover thousands of luminous glowworms, breathtaking rock formations and lust green rainforest. 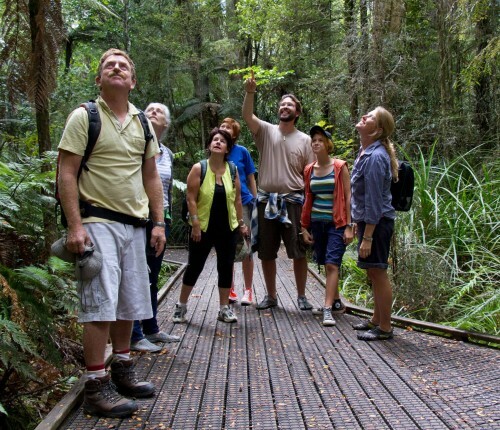 With your Adventure Puketi guide discover the beauty of Puketi’s sub-tropical rain forest. 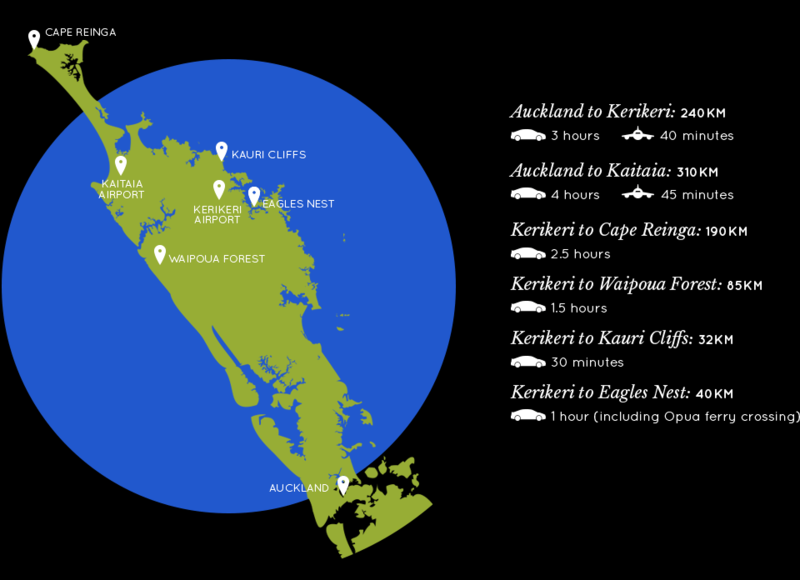 Wonder at the magnificent Kauri trees, and observe the unique bird and insect life. The cycle trail is suitable for all ages and a perfect family adventure. 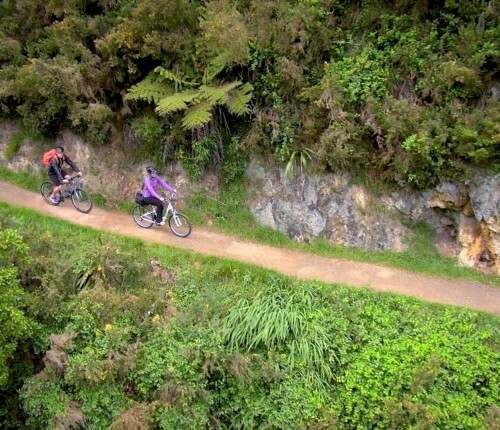 We transport you to the start of the trail at Kaikohe, where you will meet the operator of Top Trails who will provide you will cycles and helmets. The trail is 14 kms long and takes approximately two hours. The trail ends at the small village of Okaihau where you will be met by Black Robin Transport. A picnic lunch will follow at the Stone Stone Basin in Kerikeri. Picnic on the banks of the Kerikeri River beside the historic Stone Store, New Zealand’s oldest building. A kayaking adventure full of fun. 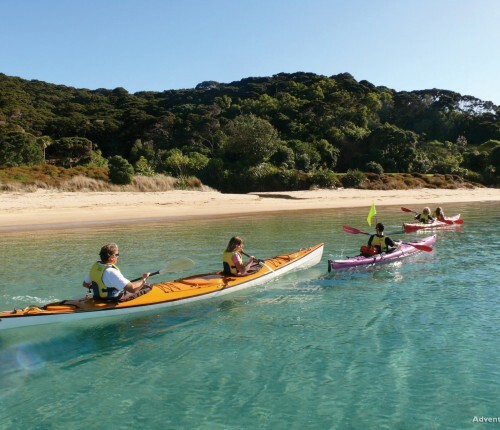 An opportunity to explore the beautiful coastline of the Bay of Islands. Be amazed by sea life encounters such as dolphins and orcas. You will explore islands, mangroves, rock gardens and historical sites. Skilled and knowledgable guides from Island Kayaks will lead you on a kayaking fun adventure. They will provide you with information on the history of the Bay of Islands. This tour can be tailor made to suit all ages and levels of experience. Tours can range from 2 to 4 hours. Black Robin Transport will transfer you to and from your accommodation. Lunch can be arranged on request. For more information regarding costs and availability, please contact us using the details below. All tours require a booking of no less than 24 hours notice. *Not all vehicles are suitable or available for all activities. This will be confirmed via email with your confirmation. Please fill in the form below and we'll get back to you as soon as possible. The following are the Terms and Conditions between the user, or the customer, and Black Robin Transport. On confirmation of the booking the user or the customer agrees to these Terms and Conditions. Black Robin reserves the right to change, update or modify these Terms and Conditions at any time. Applies when any vehicle required waiting a total of more than 15 minutes, prior to or during any transfer: $25.00 per ¼ hour (for full waiting period). Cancellations within 24 hours prior to the schedules pick up time will incur 50% of the transfer costs. Cancellations within 12 hours prior to the scheduled pick up time will incur 100% of the transfer costs. In the event of a ‘no show’ the full charge will apply. Between the hours of 01:00am and 05:00am an additional 15% surcharge will be made to the transfer charge.